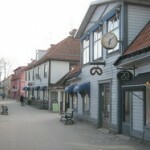 Sigtuna is considered to be the first capital city of Sweden. 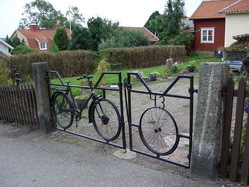 Founded by King Erik Segersäll around 980 AD at the deep bay of Lake Melaren with the rugged coastline, the town was accessible for ships which considerably contributed to the development of commerce. 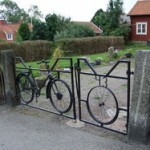 Since 1000 AD it has been the archbishop’s residence. Merchants from Novgorod are believed to have settled permanently here starting from the 11th century. The town had orthodox stone churches. 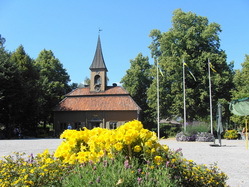 The old church of Sigtuna was consecrated in honour of St. Nicolas, the holy patron of seafarers. In 1187 the ships of Karelians, who had been the vassals of Novgorod Republic in those times, attacked Old Sigtuna and razed it to the ground. According to the legend the gates of Sigtuna had been taken among the trophies of this aggressive campaign, and then were installed in St. Sophia cathedral in Novgorod. 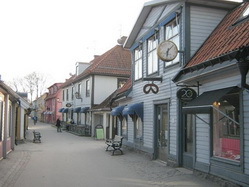 As a result of Sigtuna destruction, a new town of Stockholm appeared in the neighborhood. The foundation of Stockholm in 1252 has been ascribed to Birger Jarl. He headed the campaign to Novgorod in 1240 but was defeated by Alexander Nevsky on Ladoga. 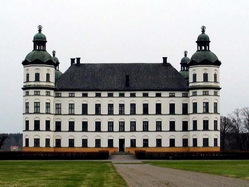 In Sigtuna’s neighborhood one may visit Rosersberg’s Palace built in the early 17th century. 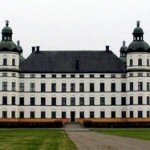 Since 1762 it has been the royal residence. The town had the Dominican monastery, the ruins of which can still be viewed there. The 13th century monastery cathedral has also survived to our times. 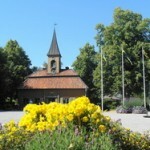 There is a boarding-school in Sigtuna, where among the others Swedish king Carl XVI Gustaf and a Prime Minister Olof Palme studied.